Arctic Air 48" Pizza Prep Table, model APP48R. 47.5" L x 32.25" D x 41" H (with included casters). 6 third size pan capacity (pans included). 1 door, with 1 shelf. 1 year mfg warranty. Ask for a shipping quote. Arctic Air 71" Pizza Prep Table, model AAP71R. 71" L x 32.25" D x 41" H (with included casters). 9 third size pan capacity (pans included). 2 doors with 2 shelves. 1 year mfg warranty. Ask for a shipping quote. Arctic Air 1 door cooler. 23 cubic feet capacity, 82.75" tall, 26.75" wide, 32.75" deep. 115 volts, includes casters and 3 shelves. 1 year mfg warranty. Ask for a shipping quote. Arctic Air 2 door cooler, model AR-49. 49 cubic feet capacity, 82.75" tall, 54" wide, 32.27" deep. 115 volts, includes casters and 6 shelves. 1 year mfg warranty. Ask for a shipping quote. 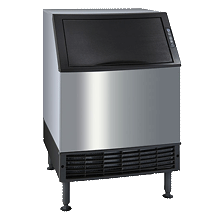 Arctic Air 29" Sandwich Unit, model AST-28R. 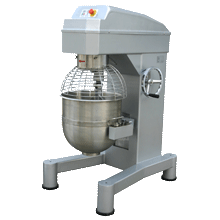 29" W x 30" D x 43.3" H, 8 sixth size pan capacity. Includes casters. 1 year mfg warranty, additional 4 years on the compressor. Ask for a shipping quote. Arctic Air 1 door Undercounter Cooler, model AUC27R. 6.5 cubic feet capacity, 35.625" height, 27.875" wide, 30" deep. 115 volts, includes casters and 1 shelf. 1 year mfg warranty. Ask for a shipping quote. Arctic Air 2 door Undercounter Cooler, model AUC48R. 12 cubic feet capacity, 35.625" height, 48.25" wide, 30" deep. 115 volts, includes casters and 2 shelves. 1 year mfg warranty. Ask for a shipping quote. 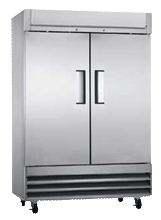 Arctic Air 48" Sandwich Unit, model AST-48R. 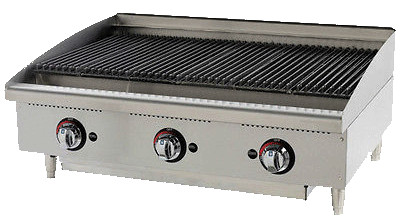 48.75" W x 30" D x 43.3" H, 12 sixth size pan capacity. Features 2 doors and includes 2 shelves and casters. 1 year mfg warranty, additional 4 years on the compressor. Ask for a shipping quote.